Samaritan’s Purse has worked in Alaska since 2006, helping thousands of people in the Name of Christ through relief, feeding, and rebuilding programs. This year, Samaritan’s Purse worked in Galena, Alaska, to rebuild eight homes and repair seven others after flooding devastated the 400-resident town two years ago. The isolated community saw the love of Christ through the work of the more than 250 volunteers who served. Earlier in the year, Samaritan’s Purse participated in Alaska Shield, an exercise that helped prepare the state to be ready the next time disaster strikes as well as ensuring that Samaritan’s Purse will be able to operate at peak efficiency when we respond to disasters around the world. 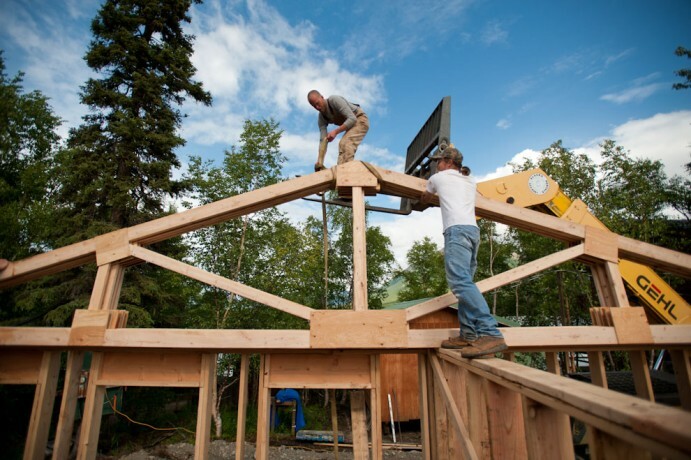 Operation Heal Our Patriots, a ministry of Samaritan’s Purse, has a lodge in Port Alsworth to give veterans wounded after 9/11 the opportunity for spiritual renewal and physical refreshment in the wilderness of Alaska. Nearly 380 couples have attended the camp since it began in 2012. More than 126 people have been baptized in the chilly waters of Lake Clark, and 132 couples have rededicated their marriages. In 2014, 79 couples, more than half of the 150 couples who attended, rededicated their marriages while in Alaska. Last year, Samaritan’s Purse worked in Nome, Alaska, to rebuild a church and purchased adjacent lots for expansion. A building on one of the lots was remodeled to become a youth center. In the past eight years, Samaritan’s Purse has constructed homes, churches, camps, and youth centers throughout rural Alaska to spread the love of Christ. Next year, Samaritan’s Purse plans to continue Operation Heal Our Patriots and to begin work on a seminary in Bethel, Alaska. Through all of the projects, we minister to those in need.